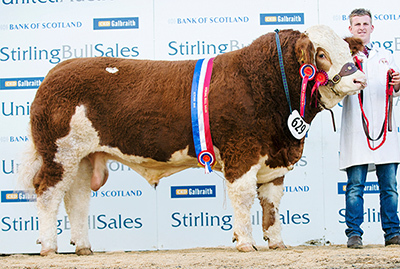 The Sacombe herd is set to make a welcome return to the Stirling Bull Sales with a draft run of females from some of the much admired dam lines in the herd. 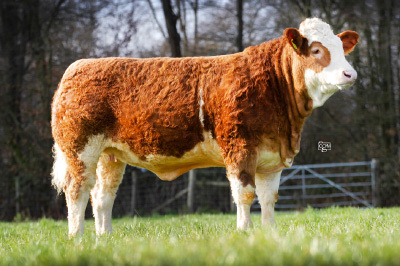 Included in the group are some exciting prospects offering buyers the potential to buy in to decades of our breeding, as well as the chance to secure daughters of our Danish polled bull, Langmose Ludvig. More images will be added in due course. We welcome any enquiries and are happy to host private viewings prior to the sale. 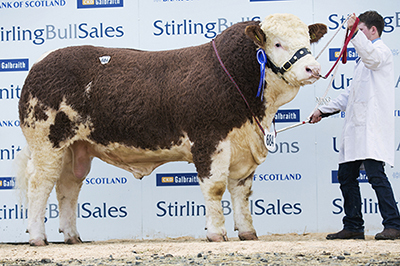 Icandy Wanse is by the 11,000gns Stirling Reserve junior champion Islavale Fagan and is out of Sacombe Ebony-Wanse, herself a daughter of Grangewood William. She carries an SRI of +94. 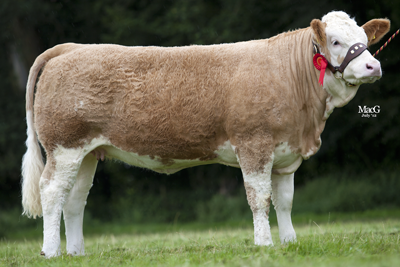 Isla-Kleeb is by the 9000gns Stirling Junior Champion, Derrycallaghan Gambler and is out of the Grangewood William daughter, Sacombe Cameo-Kleeb who was shown as a junior heifer and was first at the English National Show in 2012 and 2nd at the Royal Highland in the same year. 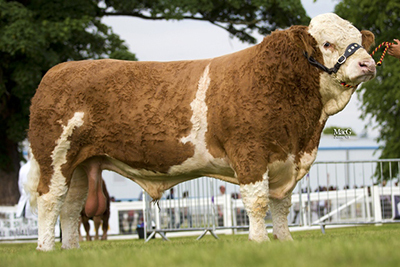 The Kleeb family is one of the favourites at Sacombe as they regularly produce performance combined with show ring presence. Jolene is one of the first daughters to be offered for sale by our Danish polled imported sire, Langmose Ludvig. 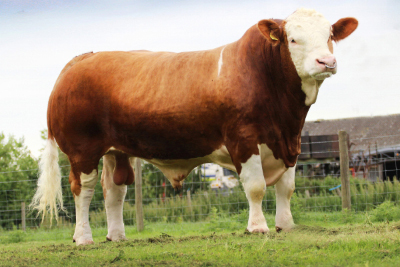 Ludvig is a bull of exceptional natural fleshing and muscling, rarely have we seen a bull that can hold flesh quite like this lad can. 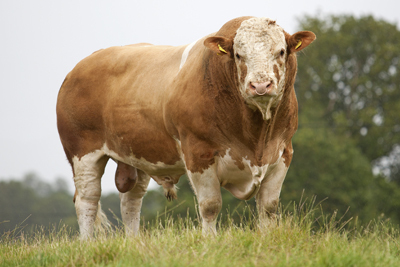 Jolene is out of Sacombe Gabriella-Bouquette, a daughter of Sacombe Balmoral who was male and breed champion at the Royal Welsh in 2013 and part of the interbreed group of five champions. This is a female with an interesting back pedigree. 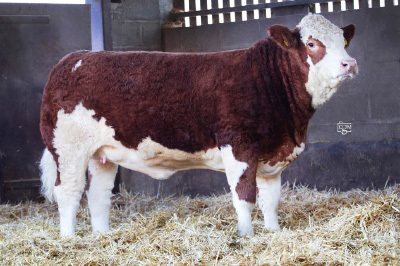 By the 9000gns Stirling Junior Champion, Derrycallaghan Gambler, she is out of Sacombe Catherine-Justine, herself a Clonagh World Class daughter who goes back to the three times Paris Show champion, Charmont, who we purchased in 1995 and is one of the best Simmental females we’ve ever seen in the world. Another Ludvig daughter, this one is out of the Sowena Class Act daughter, Sacombe Gaiety-Bouquette and carries a TPI of +81 and a SRI of +90. This is the sole entry from Bridget’s own Perrywood herd. By Gambler, she’s out of an exceptional cow, Perrywood Vixen, a Sacombe Nijinsky daughter who is also the dam of Perrywood Coyote. Izzy is by the 9000gns Stirling Junior Champion, Derrycallaghan Gambler and is out of a polled daughter of Clonagh World Class, Sacombe Dahlia-Fani (P). World Class made such a fantastic addition to the herd, himself a coveted show winner, he has left fantastic daughters in the herd. Yet another descendent from a rich family heritage, Isabella-Bouquette is by the 9000gns Stirling Junior Champion, Derrycallaghan Gambler and out of the Grangewood William daughter, Sacombe Dora-Bouquette. Yet another daughter of the 9000gns Stirling Junior Champion, Derrycallaghan Gambler, Isabelle is out of a Glenturk Nomad daughter, Sacombe Celia-Wanse. Another strong daughter of our Danish imported sire, Langmose Ludvig. She is out of Sacombe Ffion-Wanse, a daughter of the Perrywood Coyote who was reserve male champion at the Royal Highland and reserve interbreed champion at Herts County Show. Jade’s granddam is also the dam of Lot 45. Another by Ludvig, this one is out of a previous show heifer, Sacombe Farah-Wanse, an exceptional Clonagh World Class daughter. Josephine carries a SRI of +86. This little gem in the line up is another Ludvig daughter, out of Sacombe Gracie-Bouquette, herself a daughter of Sowenna Class Act. Josie has been shown successfully at last year’s winter calf shows where she was 2nd Junior Heifer Calf Agri Expo, part of the winning pairs and winner of the junior heifer calf class at the East of England Winter Stock Festival. She also has an SRI of +86. 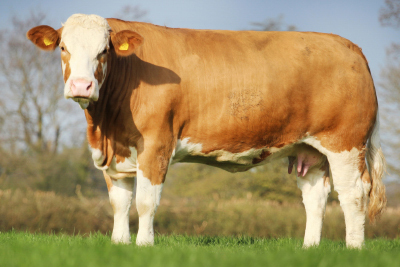 We have an extensive stock of embryos in the tank from a multitude of quality female lines. Due for flushing shortly are Ranfurly Mame 3rd, Perrywood Franchesca and Sacombe Katrina.